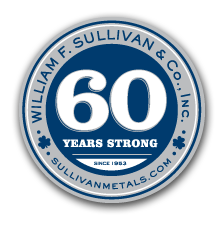 For 60 years, Sullivan Metals has been operating at both ends of the steel and metal industries. Sullivan Scrap, our recycling division, provides customers with the most convenient, effective service for addressing their scrap metal challenges. Our sales division, Sullivan Metals, recognizes our customers’ construction needs, keeping the materials you are looking for on hand or available for delivery quickly.